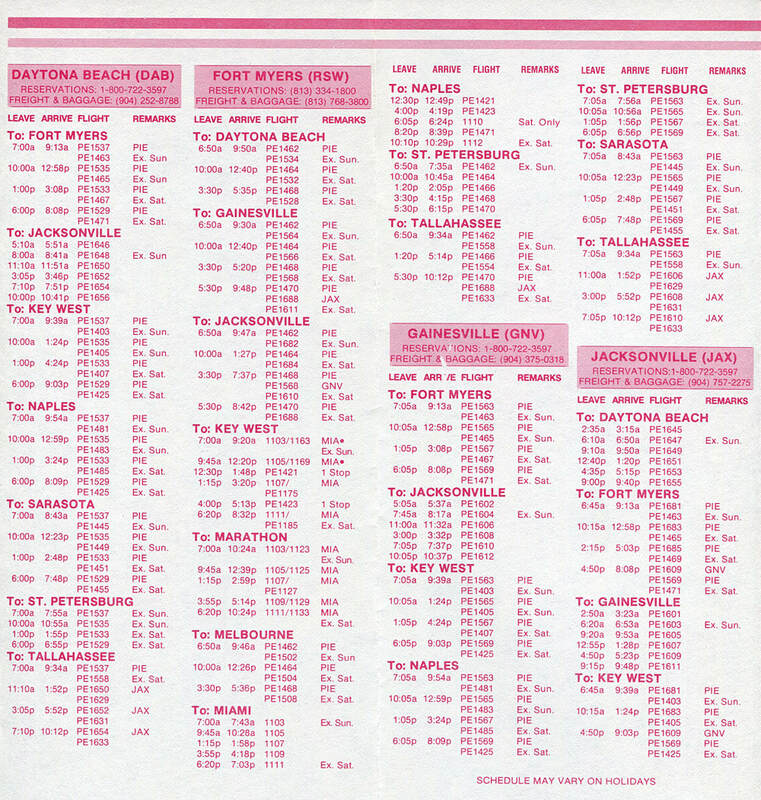 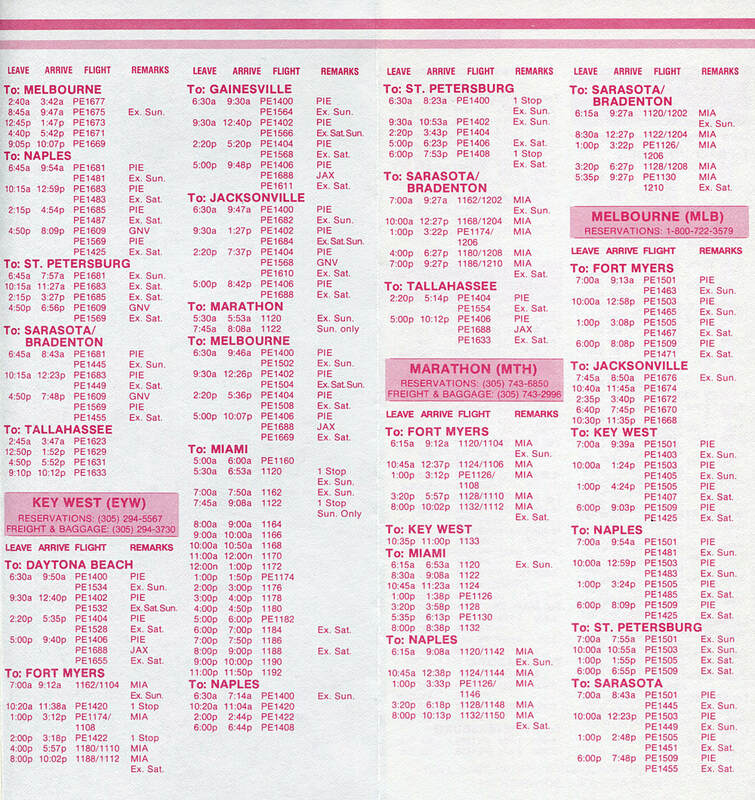 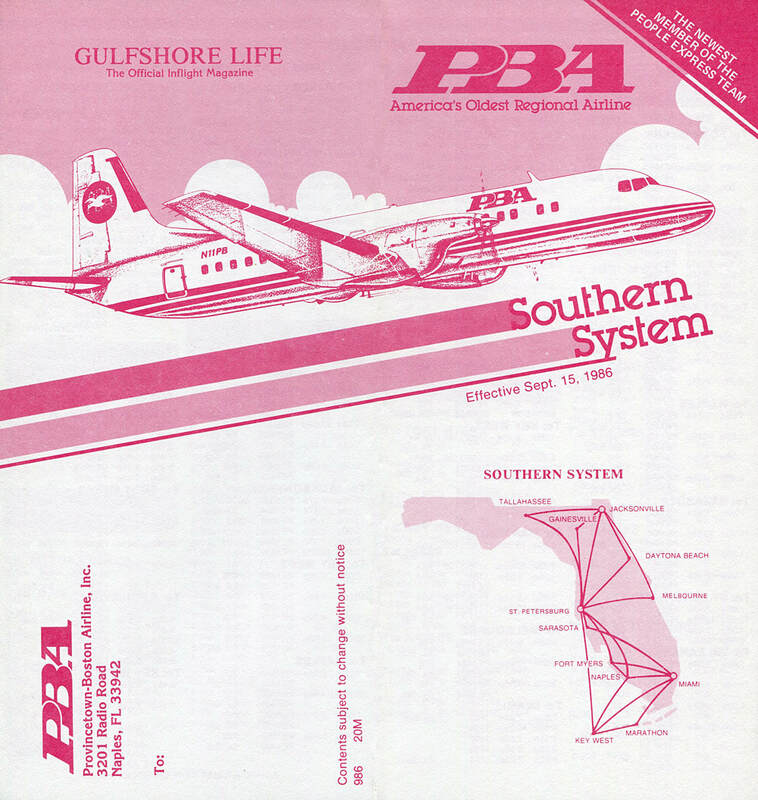 Notes: PBA became a subsidiary of People Express in May 1986 and schedules were altered in order to connect with People Express flights to the northeast. 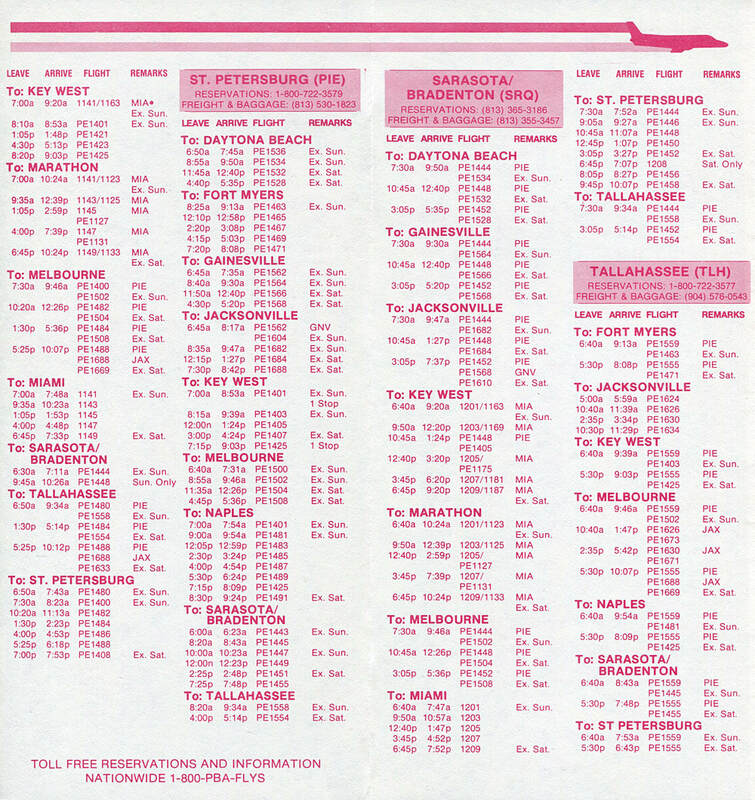 The most drastic change was the closing of the long established Tampa hub in favor of a new hub at St. Petersburg. 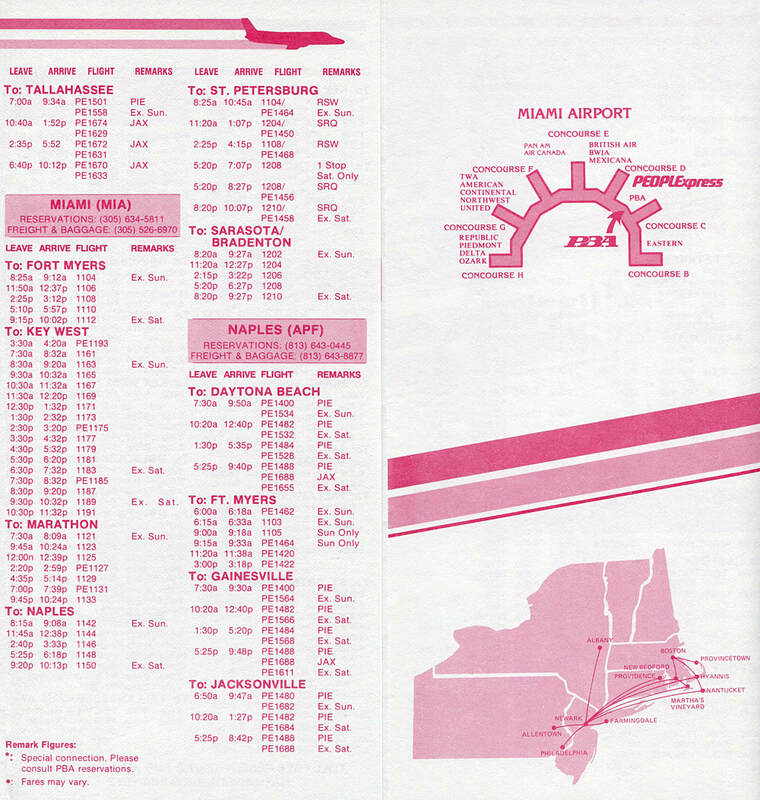 Note that many flight numbers include the prefix "PE".